Now through the end of April! 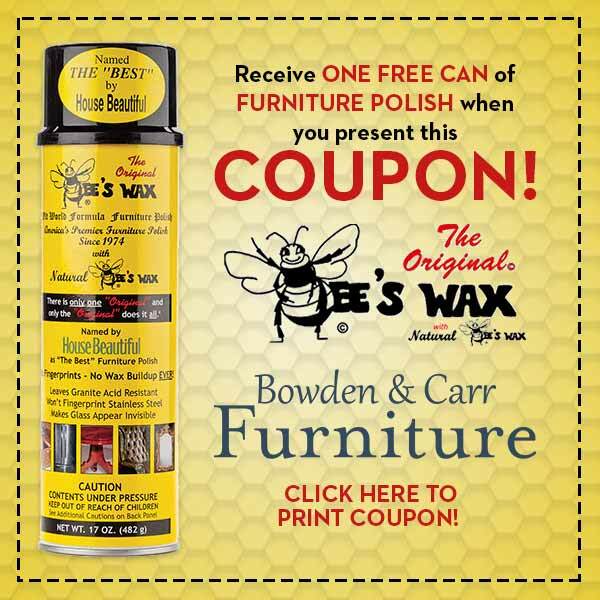 Ring in spring with savings at Bowden & Carr Furniture! Chairs, recliners and more reduced throughout the store. Come in and see us at Bowden & Carr, your Laz-Y-Boy premiere Comfort Studio.